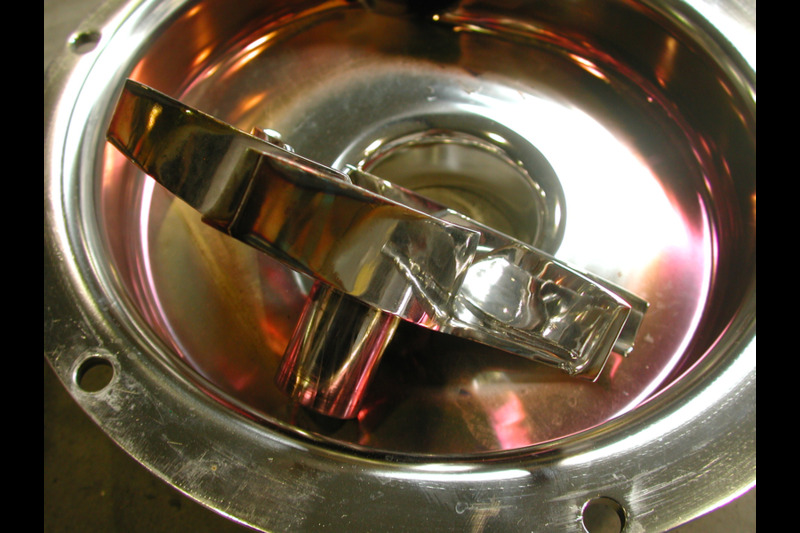 The deburring effect of electro-polishing creates surfaces free of particals and fibers - preventing metal particles contaminating medicines or high purity pharmaceutical products in contact. Also older mirror finish’ polished surfaces, achieved by grease milling, benefits by electro polishing as this treatment removs grease and impurities from the mechanically formed high gloss layers. Electro polishing is until now the only known technique to free surfaces from micro crevices. Electro polishing realizes a high corrosion resistance glossy and pure finish very convenient for pharmacy reactors, and piping. Because of the sometimes aggressive nature of cleaning and decontaminating agents common in the pharmaceutical industry, the optimal corrosion résistance is a vast advantage.